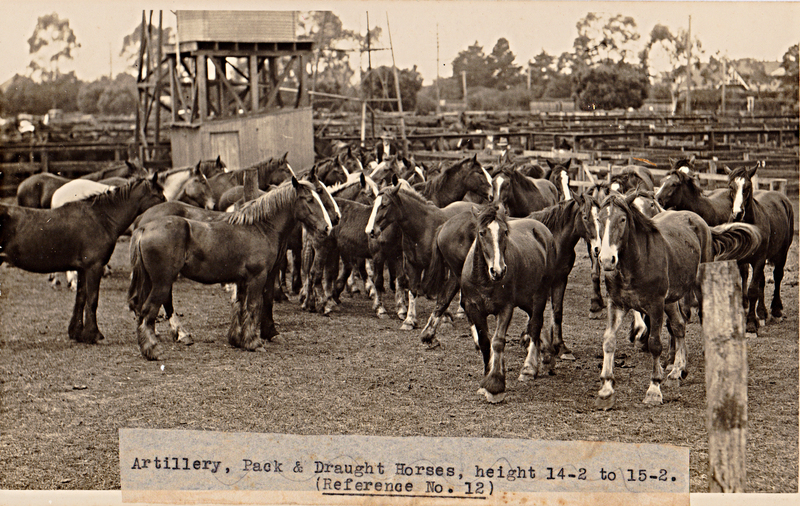 The ‘waler’ horses of the Australian Light Horse regiments are justly famous for their loyalty, strength and endurance. Yet most war horses were not ridden, they pulled wagons or carried packsaddles. They shared their burden with mules, and camels and even donkeys. Horses and mules pulled the supply wagons; the artillery’s guns and limbers; the field ambulances. They hauled the infantry’s watercarts, and wagons full of ammunition, tents, tools, equipment. They even moved the field kitchen stoves, and the pots, pans and sinks. 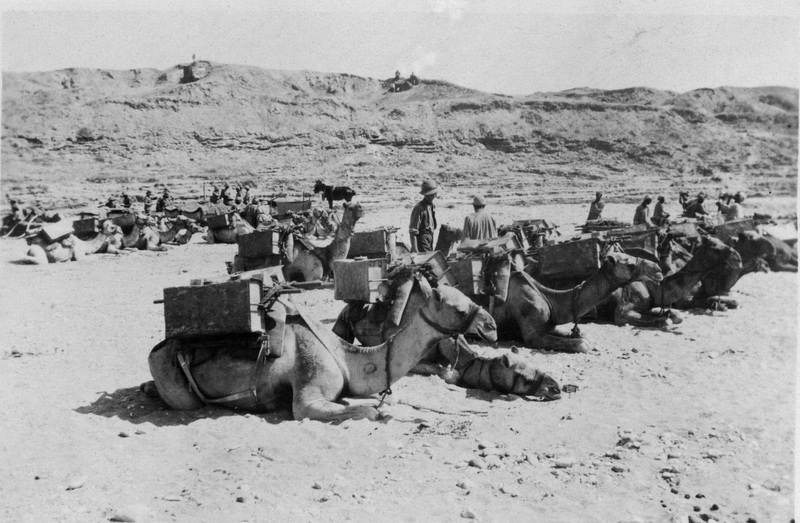 Long camel trains carried supplies across the Sinai Desert, and nearly 5000 actually went into battle in the Imperial Camel Corps. The Army had humane rules and procedures for the care of all these animals, but along with the soldiers many paid a terrible price. Battalion store depots were often only 1500 metres from the front line. Stores, supply columns, and resting horses in picket lines were targets for artillery barrages and aircraft attack. Mostly the horses and mules suffered from exposure to the elements. 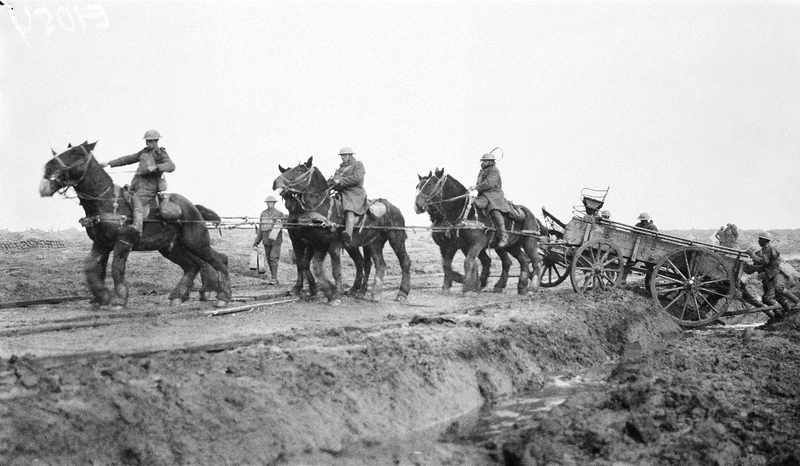 Of the 869,931 horses and mules serving British Forces in 1917, 256,204 died in that year alone. (War Office 1922:396) Millions from all sides died in the War. 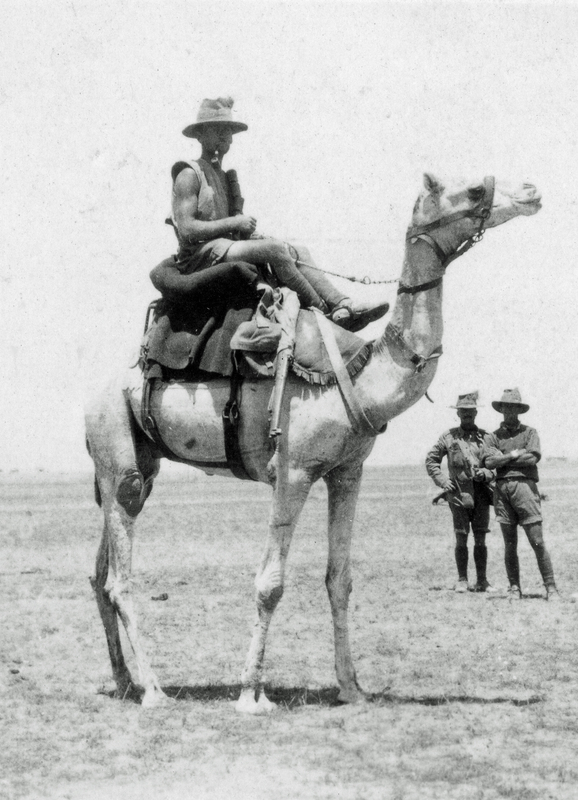 Nearly 9,700 soldiers served in the Australian Army Service Corps. 609 were wounded, 34 were gassed, and 102 were buried in foreign soil. 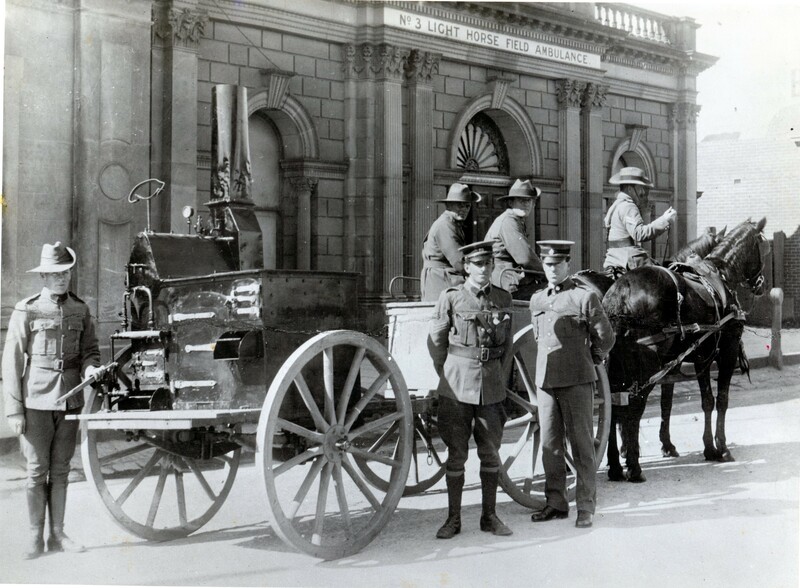 Many of their horses survived the War and were sold to other armies or farmers in Europe, but none returned to Australia. Cobb+Co Museum’s General Service Army Wagon from the First World War. Statistics of the Military Effort of the British Empire During the Great War 1914 – 1920. 1922. (The War Office: London). Driver William Sizer with mule team. (Courtesy the family of William Sizer.